It must have been about 1973 when I first came across a set of drumshaped teacups with fine flowers on the outside. It was love at first sight. 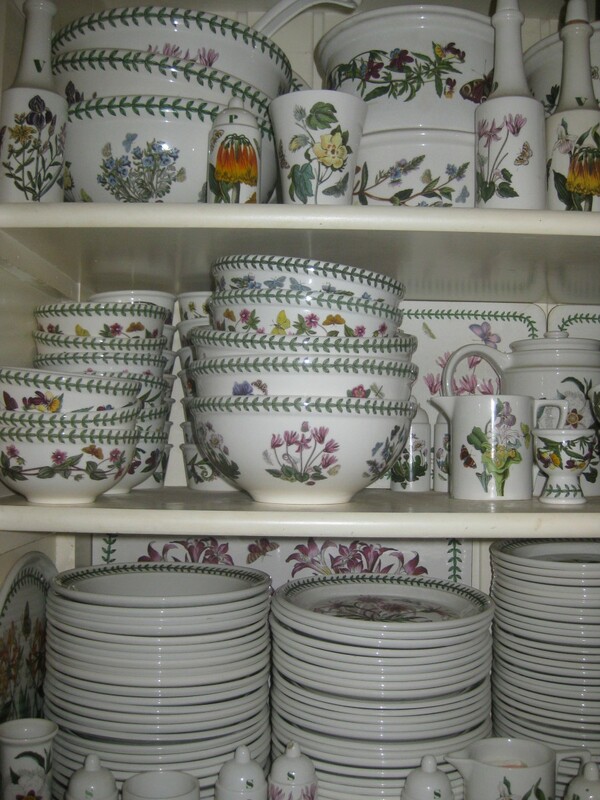 Then and there I decided this was the tableware I was going to collect. It was called Botanic Garden, and was produced by Portmeirion in Stoke-on-Trent. About the same time my mother visited England on a garden tour, and she brought back four lovely mugs, one for each of her children. 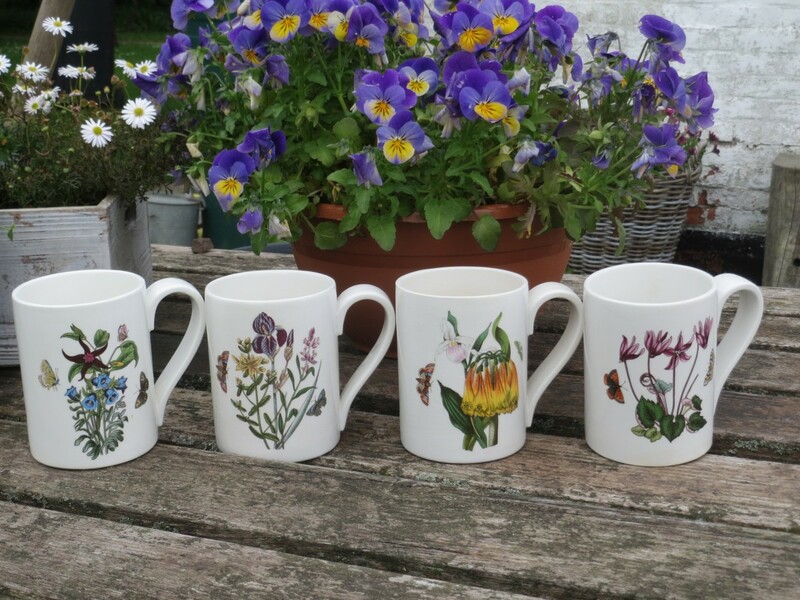 They were 4 inch coffee mugs with flowers such as the Canterbury Bells and the Purple Iris. Mine had the Orange Cactus. 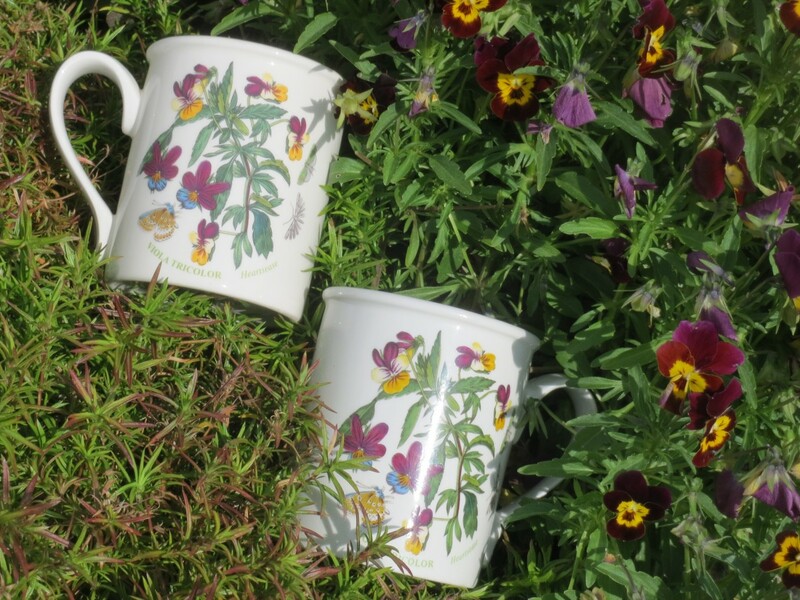 And yes, they were made by Portmeirion. They were from the Botanic Garden range. 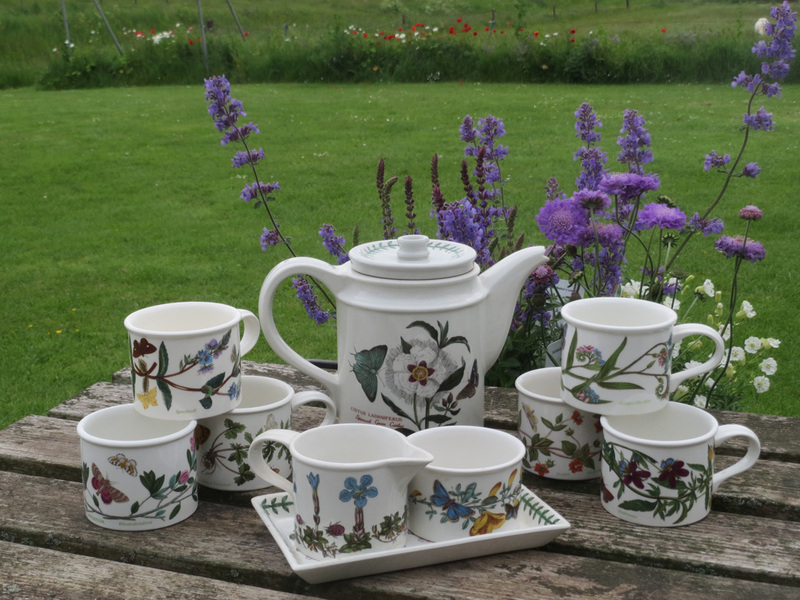 It was much later that I learned that the designer of this fabulous tableware was Susan Williams-Ellis, and that she set out to create collections that ware not only beautiful, but also practical and affordable. 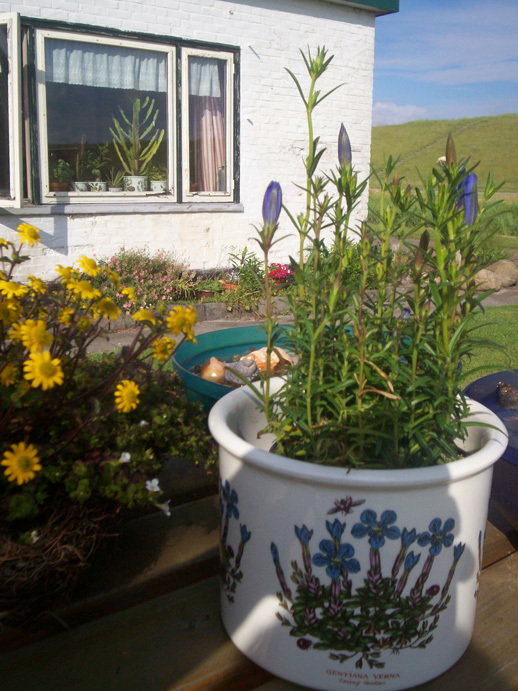 In those days I was a poor student, and Portmeirion in the Netherlands was expensive and hard to get. So I saved and saved, and bit by bit my collection grew, first a teapot and six cups and saucers, then plates and bowls, mugs and sweet dishes. And if they were not as affordable as I would have liked, at least they were very beautiful and very practical. 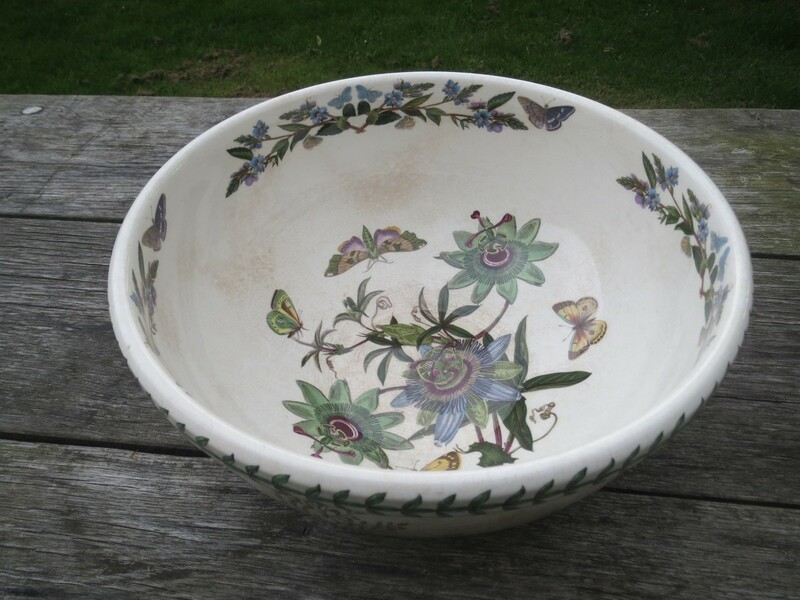 This is my first large salad bowl, with the Blue Passion Flower. Crazed and discoloured, it still has a place in my kitchen. 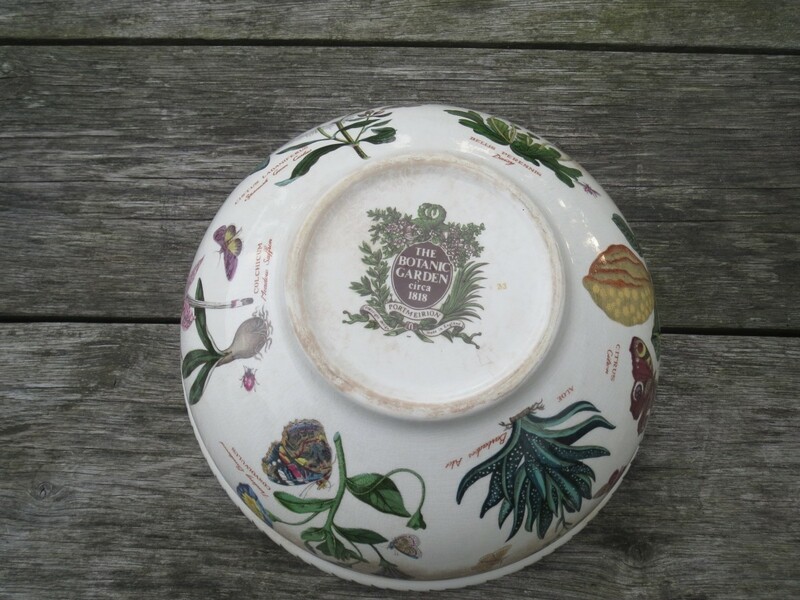 Collecting remained a slow business until Portmeirion pottery items came up for sale on the internet. 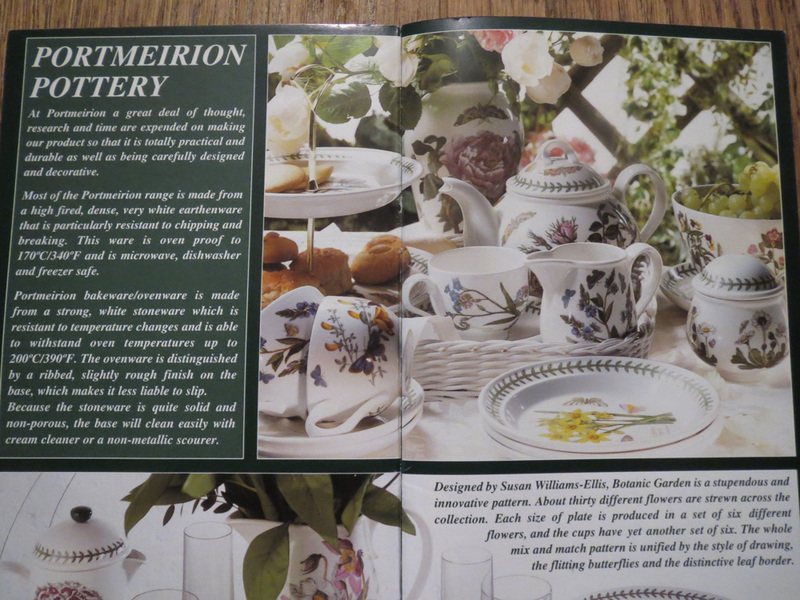 At last I could roam the internet markets for second hand Portmeirion and also for seconds and trials, usually not available in my country. 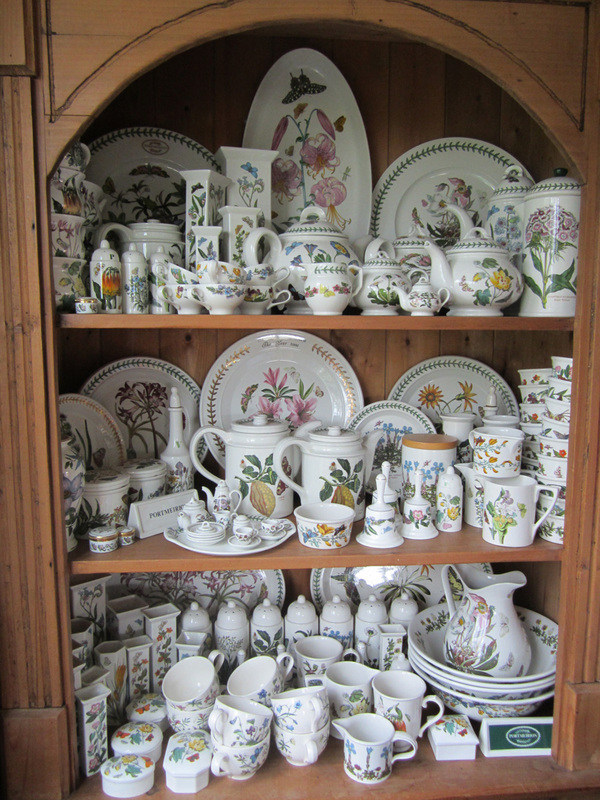 I met other people who collect Portmeirion. Some even help me acquiring items that are only available in the UK, they are so kind as to buy them for me and send them to the Netherlands. 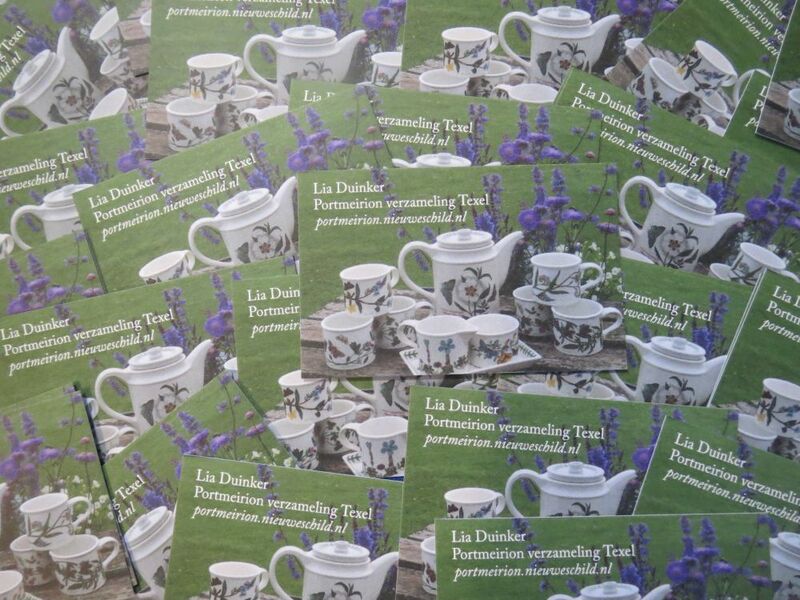 Portmeirion collectors from the UK are a friendly lot. 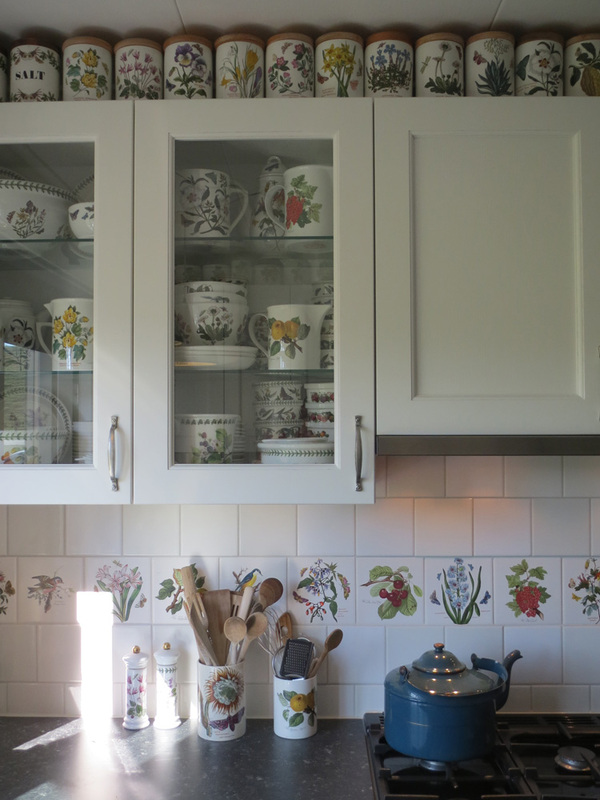 We now are a family of seven, and we use our Portmeirion every day. When the children were small I kept the “lovely plates” for special occasions, such as Christmas. Now we use Botanic Garden, Pomona and the new Botanic ranges everyday. They are wonderful to look at and very practical. And now one of my daughters offered to help me set up a website to show my collection to anybody who is interested. Again it will be a slow process to make pictures and to write stories, but it will be fun to work on the website as it has been fun to collect all the pieces. I hope you enjoy looking at my website as much as I enjoy making it.